BBM for android has been around for a couple of months now and the response from users of BBM on android was great but then there was no BBM for android 2.3 gingerbread which is the lower version of android and this has been happening until recently there was an update of the BBM android and it was made known that the updated BBM now Android 2.3 Gingerbread. Take a look at the message below. These has been released for like 4 days ago, am so sorry for not updating you earlier about this, have been busy with studies, but it never late to share an update. 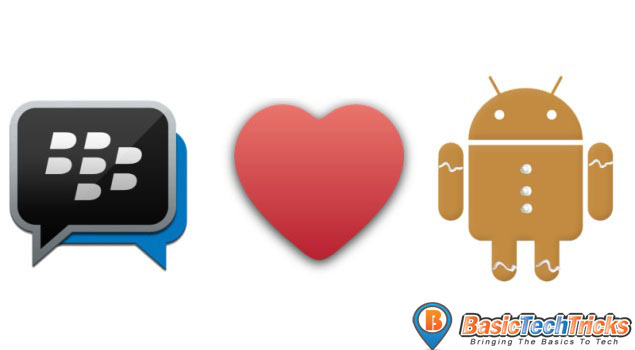 So do you have a android device which runs on gingerbread 2.3 it time to download BBM for android 2.3 and keep up with friends from higher android versions and also other Blackberry users. For those who don’t know BBM; BBM is which was shorten from the popular BlackBerry Messenger, it a platform where users can send chats in form of text and also send pictures, voices notes and also files of specific size to each other. Upon registration of BBM for android, the user will be given a PIN which the user can share to friends, social media, text and so on and also the user can add friends using their pin or QR codes which is also made available for BBM users. BBM team kept the promise which they made to make BBM available for all Android and this promise was made in January and they kept to that promise.Please keep passing this message for those who have android 2.3 phones by sharing on your social networks such as Facebook, twitter, Google plus etc. Now don’t be left out in the fun of BBM, download it and add your friends, family members so on, the download link to download the BBM app for android 2.3 is below. Download and start adding your friends and family, enjoy chatting and BBM. 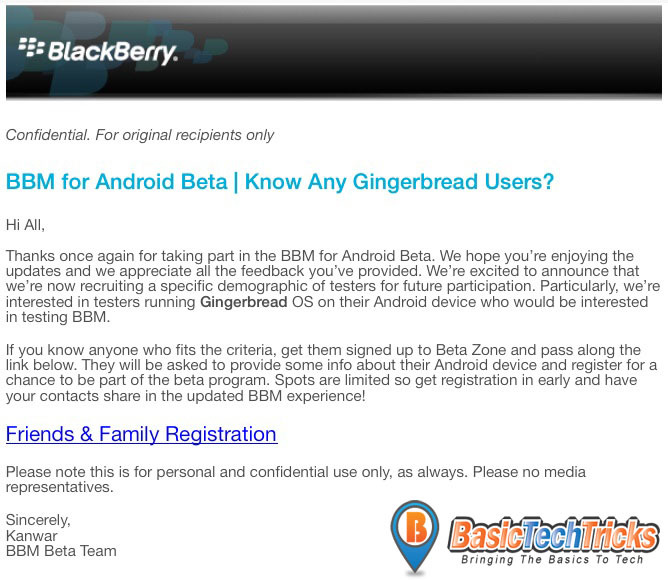 You can also let me know how the interface is like and your experience with the BBM for android 2.3 Gingerbread using the comment box. Thanks for reading and please share the post to your friends.